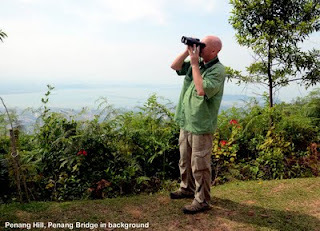 Away from the beach-resorts and the busy city of Georgetown, Penang Hill (Bukit Bendera) offers great views and birders some good opportunities. There are still some decent tropical forests here and residential areas also host some typical birds. There are various swifts and swiftlets, swallows, bee-eaters, bulbuls, munias, babblers, flycatchers, sunbirds, spider-hunters and White-bellied and Rufous Woodpeckers. The top of the hill is reached by regular funicular trains from Air Itam. But best to visit on work-days not weekends to avoid the crowds. 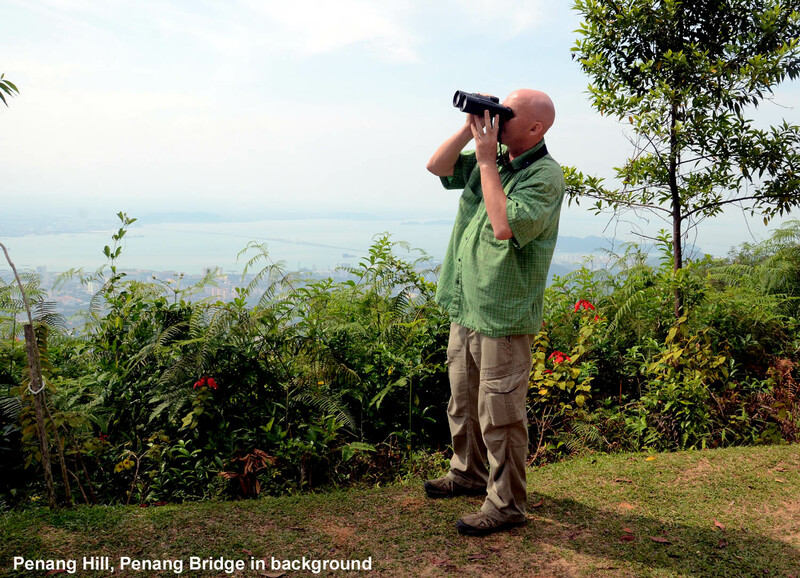 Penang Island lies off the west coat of Peninsula Malaysia. It is accessible by a road-bridge, the longest in Asia, from near Butterworth on the mainland.